Way back in February Minnie began planting seeds for her Summer garden, & since then she's eagerly observed & nurtured them every step of the way. From planting the seedlings in her garden to measuring her amazingly tall sunflowers, she's shown a real interest in the plants & the insects attracted to them! 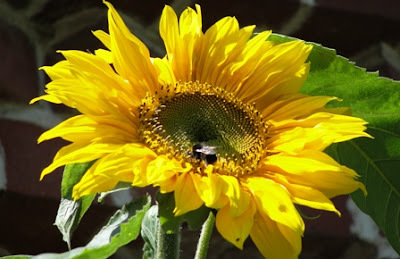 Amongst all the plants she's grown, the sunflowers were by far her favourite. We've created art with them & even made drumsticks with them, & now we're all set to harvest them. To collect our seeds we set off on a seed hunt around the garden! Armed with a plastic tub & scissors Minnie collected sunflowers, lavender & marigolds. This was a great opportunity to talk about time, bulbs, seeds, how plants self seed, & the value of plants & insects. 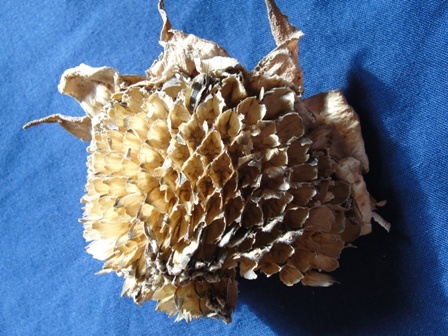 We found it easier to collect whole flower heads rather than just the seeds, & much easier to remove the seeds on a flat surface. We also collected them on a dry day so the seeds were easy to remove. If they're collected when wet, it's best to leave them to dry before attempting to remove otherwise the seeds may rot when stored. Minnie was very keen to collect the seeds & began to pull the flower heads apart! 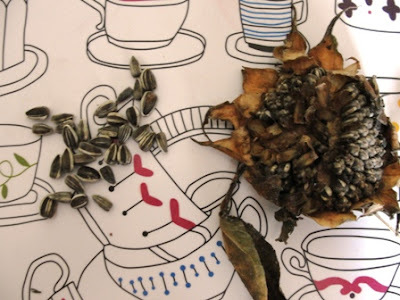 With a little encouragement, she gently & patiently removed the seeds with a little more success. 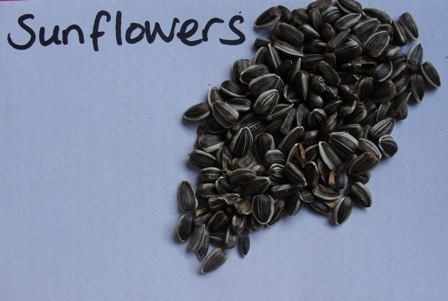 We simply ran our fingers over the seeds to remove them from the plant & collected them on a tray below. 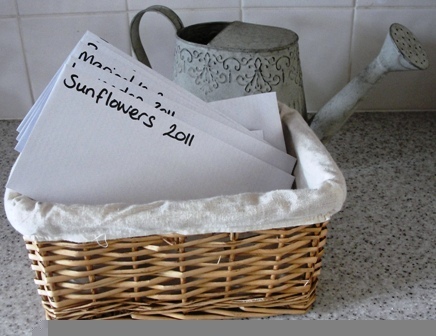 If you wish to plant your harvested seeds next Spring, you'll need envelopes/paper bags, a pen & an air tight container. 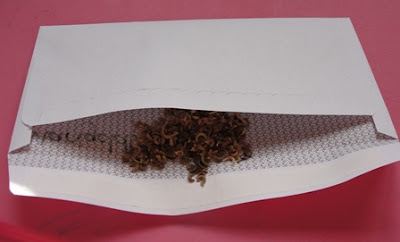 Simply pour your dry seeds into an envelope, seal it & label so you know which seeds are stored. 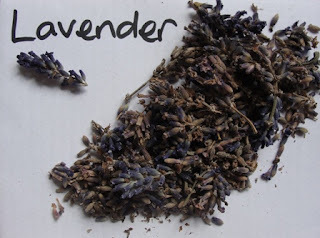 Then place them in an airtight container (old ice-cream tubs, or biscuit tins are perfect) & store in a cool, dry place until you're ready to plant them next year. 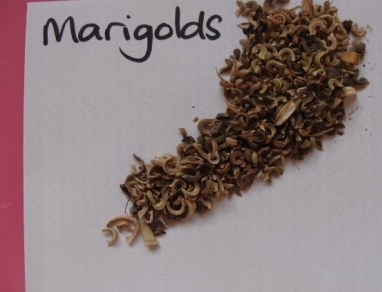 It's amazing how many seeds can be collected from just one plant. I'm not sure how many will germinate next year, but it'll be fun to experiment & see what happens. 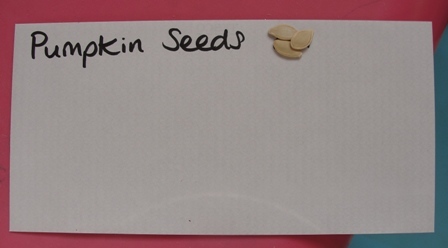 We've also got an envelope ready & waiting for any seeds we collect when we carve out our pumpkin at the end of the month. A great activity to explore life cycles, seasons, texture, motor skills, shape, size, quantity, colour, natural resources, & encourage care & appreciation of plants & wildlife.